I had planned to post my interview with new author Carole Morden today, but I have to take a few more shots at her ask her a few more questions before I finalize the post (just kidding, Carole, I'll behave, I promise). Since it's been more than a week since my last post and I didn't want anyone to think I'd croaked, I'll share my two most recent book reviews. 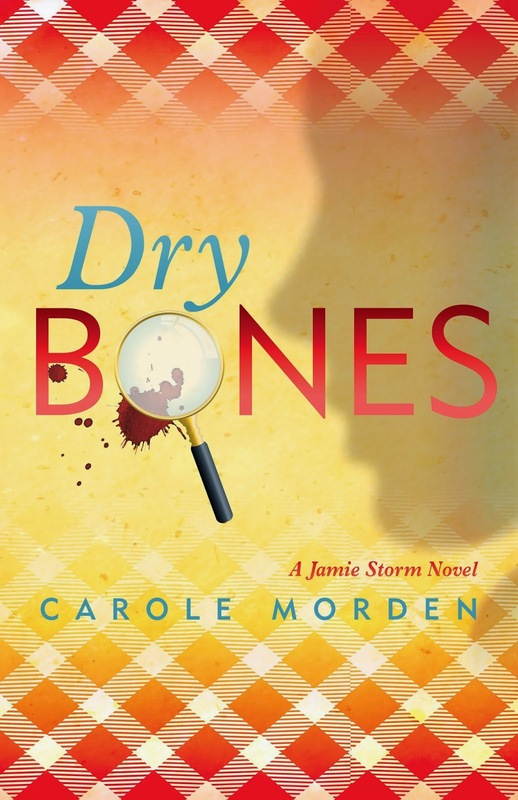 One is, of course, my review of Carole's novel, Dry Bones. The other is The Toy Collector, a novel published some years ago by screenwriter/director James Gunn (yep, that James Gunn, as in Guardians of the Galaxy). He mentioned the book on his Facbook page, and after a brief exchange there, I found the book in ebook format at Amazon. First-time author Morden will be a real treat for amateur sleuth fans. Launching her mystery from familiar territory--her own background as a pastor's wife--she creates realistic, well-developed characters, from the insufferable Abigail Thornbush (good, prickly name for the old bat!) to Jamie's former classmate Rachel, whose troubled past still haunts her, to Jamie herself, a woman who dearly loves her husband, her children and her life but has begun to feel she has no identity of her own. That changes with the death of another former classmate, who leaves her his estate--and makes her the prime suspect in his murder. I was skeptical at first of the idea of a group of old high school friends taking on the search for his killer--it seemed too convenient that the former classmates had once had a "mystery club"--but Morden pulls it off beautifully. She writes in a straightforward, simple style that makes her novel an easy read, relying on sharp dialogue and a gift for just enough details in sight, sound and smell to give her readers a you-are-there feeling. Strongly recommended. I'll confess up front: this is not the kind of book I normally read. I bought it because I became a James Gunn fan after seeing Guardians of the Galaxy. I didn't even know he'd written a novel until he mentioned it on his Facebook page. This book is very different from Guardians, but I ended up reading it in one sitting. To call it quirky is a monumental understatement. 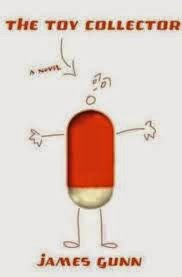 It's well written (not surprising), with a cast of odd but believable characters (again, not surprising) the reader can root for even at their lowest points. I did find find myself wondering, since the character and the author have the same name and background, how much of the story is fiction and how much is fact. My only complaint is directed at the publisher, not the author. A publisher, even a small one, should be able to properly format their ebooks. The formatting of The Toy Collector is abysmal. Looking forward to reading Carole's book! Nice review, Norma! Two very good reviews, Norma! I really enjoyed both of them. I could see either as a movie. Thank you for the good review. I appreciate it and will look forward to trying to read the other one. I also liked Guardians of the Galaxy. You deserved the review, Carole! I think the two authors here will be more than happy with these reviews Norma, nice work. Thanks, Grace--I certainly hope so! Thanks for the reviews, Norma. I'm really behind on doing reviews.These are the two most recent books I read. When I found it trolling through the universe of Blog....I was taken by the the name Dry Bones and the quote that came with it. When She changed the blog name and then went quiet I thought and hoped it was because she was finishing her book. And waalaaaa ! here it is. So happy for her. Reading is still hard for me. I am up to about 15 minutes a day now. I can't wait for your interview. hahahahahaha See only after a month or more I finally received your e-mail blog. That's right--I met you on Carole's blog! 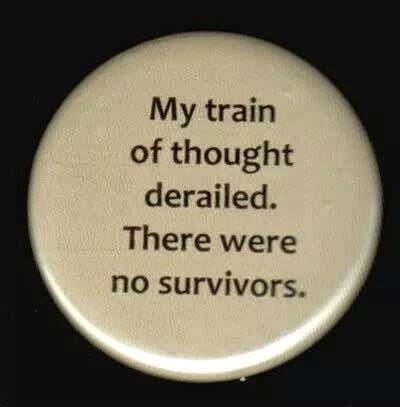 I have reading issues as well because of the seizures--and now the vision problems. I do fairly well with my Kindle, and even better with Audible. Yes we did. . . and then I met William ! And Shelly and Eve after that! Yep, I'm still here, Ivy--it just takes me a long time to actually do anything these days! Nice reviews, Norma. I'll have to read them. How bad is the formatting? It's not horrible, but a conventional publisher should be able to do better. I see they gave him a new cover, so maybe they fixed the formatting errors as well.